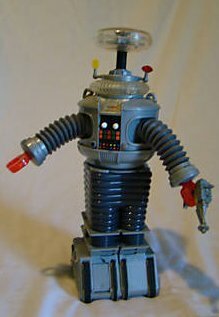 Autographed by June Lockhart - Lost in Space 1997 Robot from the TV series Lost in Space 10 inches high, good condition. Robot upper body moves from side to side, top piece goes up and down while saying "Danger, Danger, Will Robinson." 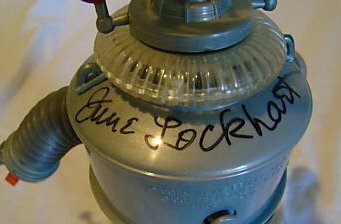 The best part - this Robot has an original June Lockhart autograph along the back of the upper body.